Providing intense filtered white light, the Celestial Star and Tri-Star lights are ideal for a number of areas, including hospital exam areas, emergency rooms, trauma rooms and critical care areas, such as the ICU (intensive care unit) and the NICU (neonatal intensive care unit). The Celestial Star offers ceiling, wall and mobile configurations, providing maximum reach and range of motion, while providing a wide consistent light pattern. 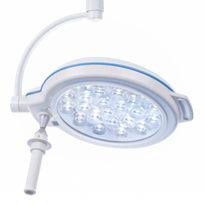 Its unique, patented lamp head allows the light to stay in constant focus and reduces the amount of heat output with its vented shade design. This light minimises shadows and incorporates a counter balance arm that provides drift-free performance. 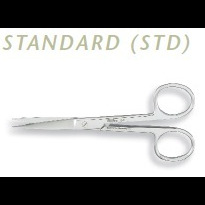 The Tri-Star, which is a cousin of the powerful Celestial Star, supplies intense illumination, specifically designed for minor surgical procedures and examinations. The Tri-Star mobile version glides easily on four caster wheels. In addition, the wall model offers a 30-inch double extension arm with a 55-inch reach to beam centre. The Celestial Star is ideal for surgical applications and procedures where manoeuvrability and compact design are key requirements. 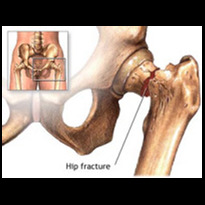 These areas include emergency rooms, trauma rooms and critical care areas. 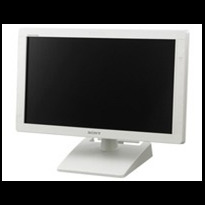 The light provides excellent illumination and offers market leading reach and flexibility. In addition, the Celestial Star minimises shadows and incorporates a balance arm that provides drift free performance. 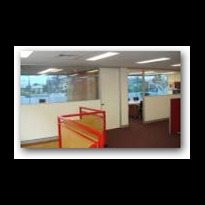 It is available in single and dual ceiling, wall and mobile configurations. 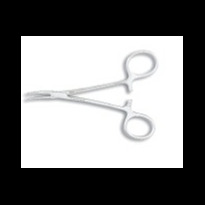 It provides excellent performance and is also ideal for medical procedures in environments where space is limited and multiple procedures are performed. 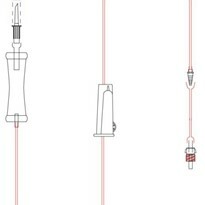 The unique telescoping pole offers height adjustment in the mobile configuration and is one of the only products in the market with this functionality. The wall model offers extensive reach with a unique extension arm design. The mobile stand raises from 27 to 80 inches via one hand control for quick height adjustments. MedicalLight Examination Lighting brings focused, white light with both flexibility and style to an examination environment. 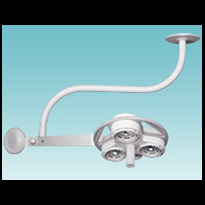 These lights are offered with either a gooseneck or articulated arm and include wall, ceiling and floor mount versions. 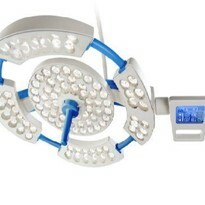 They also provide near daylight illumination to aid in illumination natural skin tones and improving tissue clarity. The SoloSpot is ideal for applications where a focused spot light is required. The specially designed lamp head offers a cool light and a focused, intense spot. 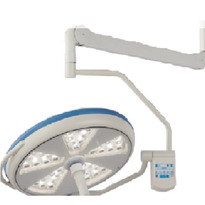 This light is perfect for direct attachment to medical equipment, such as patient tables and chairs. 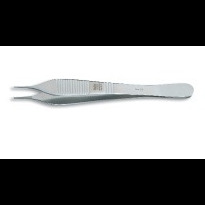 It is also ideal for OB-GYN, dental and surgical applications. The innovative MRI compatible surgical and procedure lighting brings the functionality of high intensity lighting systems into the MRI suite. 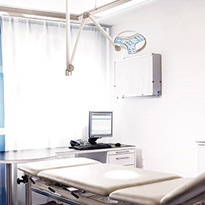 Whether you are building a new, state of the art, interventional MRI suite or enhancing the lighting conditions in an existing MRI facility, Sunnex MRI lighting will meet your every need. 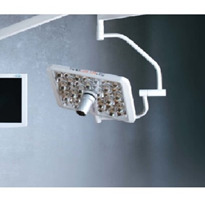 The Celestial Star surgery light is carefully designed for optimal performance while maintaining a safe working environment for physicians and patients inside the MRI suite. 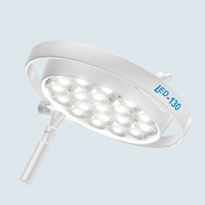 This light is ideal for interventional and MRI guided surgical procedures. The PF series examination light offers convenient high intensity lighting, allowing the physician to safely perform minor medical procedures, such as IVs or biopsis inside the MRI room. 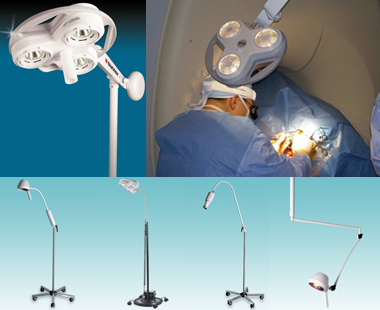 In many cases, a light must be an integrated component on examination tables, chairs, head walls and equipment. Sunnex specialises in OEM services and has successfully developed custom solutions for both medical equipment manufacturers and end users. 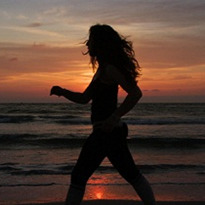 Sunnex has also developed and manufactured speciality lighting for more than three decades and they can customise lighting for almost any medical equipment or environment. The surgeon needs a dark environment in order to see the screen properly. The anaesthetist needs high quality illumination to properly read the instruments and give infusion. Both have to work in the same room, simultaneously. The solution for this customer was a spotlight attached to the anaesthesia equipment. This provided a flexible lamp head that could be positioned at any angle, offering a bright but focused spotlight pattern. The result was the room remaining dark while providing the right amount of light needed for the anaesthetist to do the job. 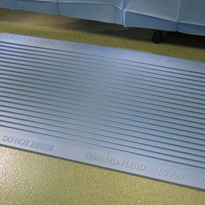 The customer needed a light that would be both safe and flexible for its medical beds. The solution was a gooseneck lamp with a special mount that attached to a corner socket on the head of the bed. The flexible arm allows the light to follow each movement of the bed, combining illumination with flexibility and safety. A heart-lung machine demands both intense light and an extremely flexible arm that can be positioned at any angle, to monitor the pump, blood and instruments properly. In addition, the heat output must be kept at a minimum so that the plastic hoses do not melt. The solution for this customer was a spotlight attached to the heart-lung machine. This light provides a bright, spotlight pattern in a compact design that minimises the heat output.